The biggest clue to your ideal target group are your existing customers. Think hard. Who are your best customers? Which customers are a joy to work for, you love to work with and are great business. For most business you will find that 20% of the customers are their dream customer, and those 20% generate 80% of the income. Well, wouldn’t it make sense to find more of those? If you are just starting your business, you may not know this yet. However, I am sure that if you think about it, you have some idea – and I can promise you, you will soon find out. Which people express more interest than others in what you are up to? Who do you think is likeliest to buy? Who would you love to work with? They have a need for your product or service and they realise that they have that need. It is not enough for you to think that someone needs something. If that person hasn’t figured it out yet, it is going to take quite a bit of effort to make them see it – so start with those that know it already. Find people that matter to you. It’s so much easier to market to people if you find that you care about them. If you have customers that buy a lot, or often, they’ll be a good target group. People that talk about you in a positive way are great customers. They will refer more business to you – and referrals are an extremely powerful marketing tool. You also need to be able to speak their language. Not just literally, as in English, Spanish, French or whatever, but their lingo. If you are a 65-year-old male who has worked in a pin-striped suit at the bank all your life, chances are that marketing to teenage rappers is not a good bet (however, you may surprise me, and if you do, I really want you to tell me about it! :) I suppose you could say that this point is about finding “your kind of people” because they will be much easier for you to communicate with. Last, but not least, find people you love working with and love working for, because that is going to spread. Your customers will sense it and you will enjoy working with them. Everyone will be a lot happier. Find the people that fit this criteria. You may only start with quite a small group, but it will grow fast because you’re talking to the right people, everybody’s happy, they will start to talk about you, others will hear about you from them and gradually the group will build and build and build. It’s going to spread, a bit like a virus. Don’t make things harder for you than they have to be. Don’t try to talk to people who aren’t ready to listen. 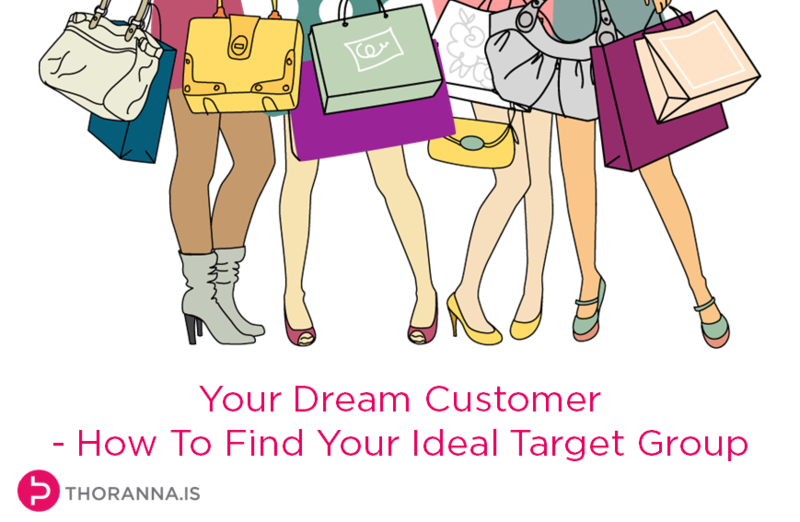 Find your dream customer, your ideal target group, and I’m sure you’re going to do well.